The General Statutes of Connecticut are the official codified public acts (as well as special acts that impact the public) of the State of Connecticut. Although currently published in their entirety every odd year, the CT Statutes were updated at different intervals in the past. From the first code of 1650 until the 1958 Revision which is currently in force, there have been 16 complete revisions. From 1918 to 1972, these revisions were updated using supplements. 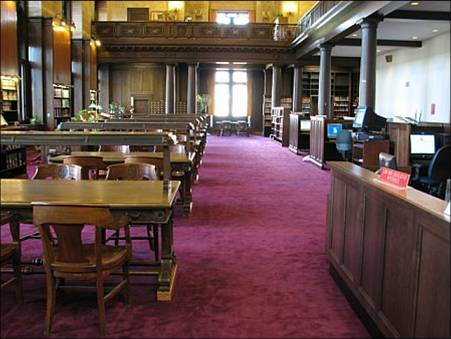 The Connecticut State Library's print collection of Connecticut laws dates back to the Code of 1650. The structure, language, and publication practices have changed numerous times, resulting in a collection that often varies from year to year. However, the biennial publication of the General Statutes of Connecticut has been standard practice since 1973. 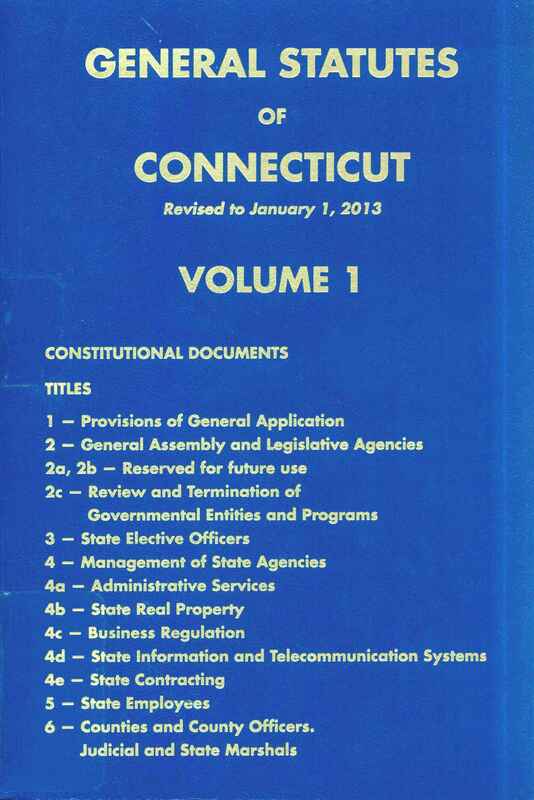 The Connecticut General Assembly provides online access to browse or search current statutes on their website; however, these are not considered an official copy suitable for legal citation purposes. The Connecticut State Library's Digital Collections also offers a variety of digitized statutes, including several major revisions and their supplements. Contains several historical revisions of the General Statutes of Connecticut, including those from 1887, 1902, 1918, 1930, and 1949.